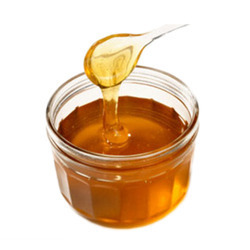 We are Manufacturers and exporters of high quality Honey Grade Invert Sugar Syrupfrom India. Our Honey Grade Invert Sugar Syrupis widely used in various Industries including Hotels, restaurants and Coffee shops. Our Honey Grade Invert Sugar Syrupis widely used in bakery, soft drinks, ice creams , herbal cosmetics and squashes etc. We are exporting Honey Grade Invert Sugar Syrupto various countries like Middle East, UAE, Israel, Dubai, Poland etc. Our firm is providing Pure Honey Grade Invert Syrup. Experts process this product in different forms that meet on patron’s demand. We offer this product at nominal prices to our patrons. We offer these in varied packing options that meet on client’s demand. For safe transportation, packing experts pack this product in durable boxes wrapped with computerized sealing straps. 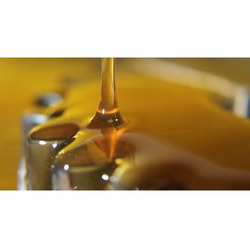 We are also engaged in manufacturing and exporting a broad range of Honey Grade Invert Syrup to our clients that being offered finds wide application in honey processing as well as in food processing industry. The product has the similar character to honey and contains in it hydroxymethylfurfural (within restricted limits). There are some areas where this premium quality honey invert syrup is used in include ayurvedic formulations and herbal cosmetics. Being a physically purer replacement of honey, this honey grade invert syrup, as well as honey invert syrup, also helps in restricting bacterial activity and thus can be used for bee feeding. Pure Honey Liquid Invert Sugar is a categorized in Grades of Invert Sugar Syrup, as the name suggests, is known for similar honey characteristics and contains hydroxymethylfurfural (within restricted limits). Energetic - H Invert Sugar Sweetener is highly demanded in honey & food processing industries. 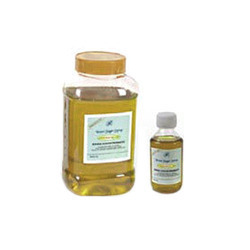 Owing to the versatile properties and the high degree of solubility, Honey Grade Invert Sugar Syrup is 100% pure replacement of honey and also used in Ayurvedic formulations, Herbal Cosmetics, etc. Moreover, our magical Honey Grade Invert Sugar Syrup also restricts the bacterial activity and thus can easily be used for bee feeding.